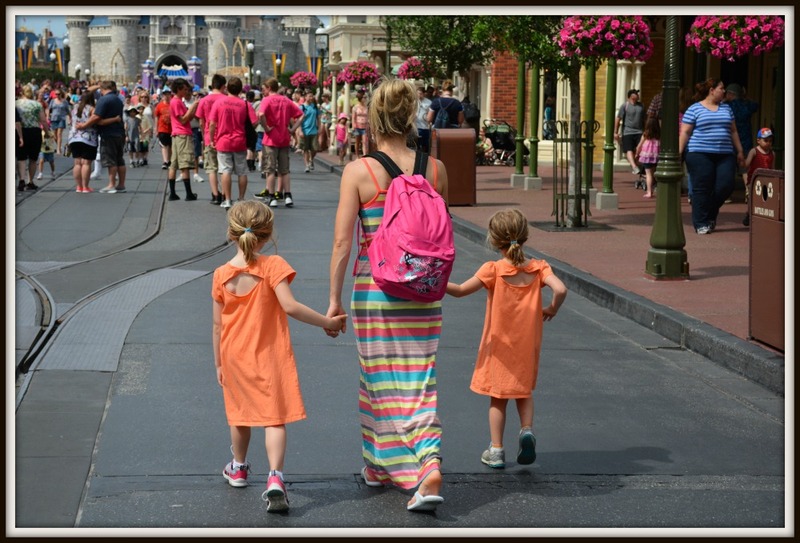 Facebook friends already know, but for those of you who don’t, the reason it’s been quiet around here is because we were away in Disney last week! It was a fantastic trip, thought I’d share a little of it with you! Plus, some readers who are planning trips of their own asked if I’d do a post on our trip – to those friends, I hope you find this post helpful:). I received SO many helpful tips from my readers, I can’t thank you enough! What an overwhelming response when I posed the inquiry on Facebook for your Disney advice. It really is a magical place, no wonder so many of you have been and can’t wait to go back! Already looking forward to our next trip…in a couple years that is – when the wallet (and my legs) recover;) Lol! I had no idea the planning that goes into a Disney trip. Certainly not the kind of vacation that we’re used to, when you just book your place and then wing everything. 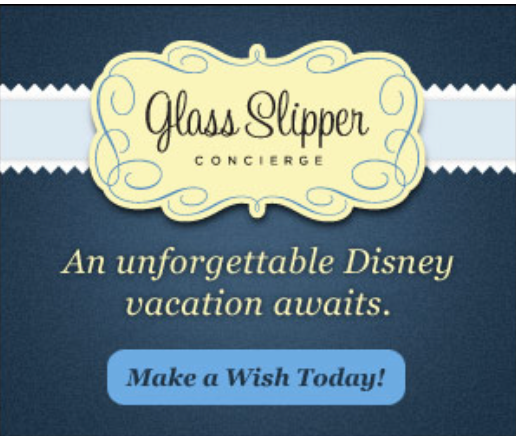 Thankfully, we have a good friend who happens to be a Disney Travel Planner, and she planned it ALL for us. Of course, we had the final say, but she gave us suggestions, based on our kids’ ages, what they’re into, etc. One conference call with her back in October (yes, SIX months before the trip – you have to book some of this stuff crazy early! ), and we were set. We decided on a Disney Dining Plan, where we’d stay, and certain events we didn’t want to miss that had to be reserved. 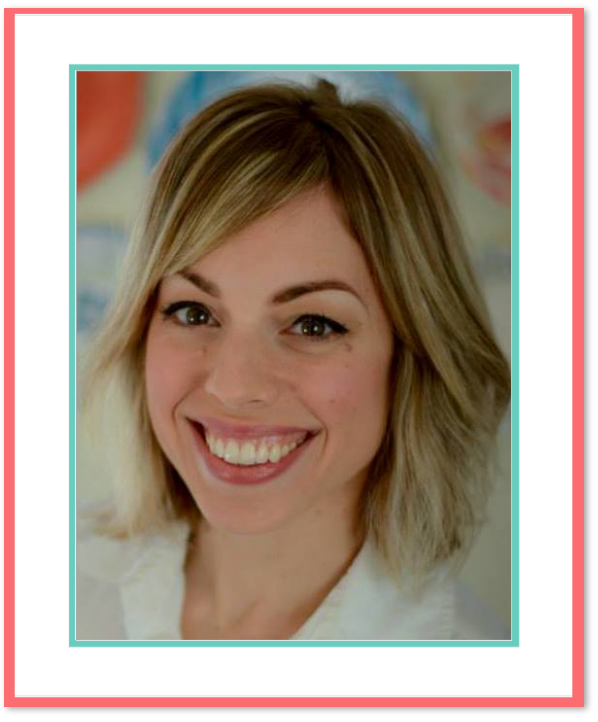 If you would like her to help you out on your next Disney trip, here’s her Facebook page and website to contact her – she was a lifesaver! 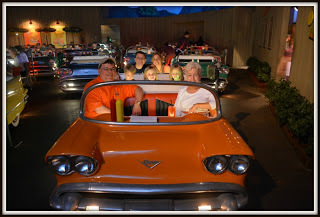 We got the 4 Day Park Hopper deal, where we could bounce around the different parks. Four days was a perfect amount of time with a 3, 5, and 6 year old. Of course, we were all sad when the trip was over, but I think it was just the right amount of time for our young family (and my parents). 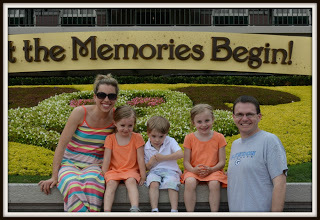 Nicole knew our kids would love the Magic Kingdom, so she started us there. Definitely turned out to be our favorite park, and where we spent the most time. 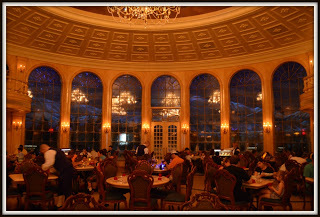 We had dinner at Be Our Guest our first night, where we met the Beast himself and dined in a beautiful ballroom. 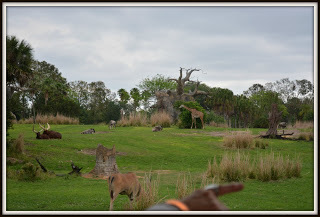 We also hit Animal Kingdom, which turned out to be a blast. We loved the Safari Ride, and checking out all the animals. Highly recommend getting the Fast Pass whenever you can, so you can avoid waiting in long lines (and they can be looooong!). You just go get a card that says what time to come back (an hour window, like between 1:15 and 2:15), and the most you have to wait is 10 or 15 minutes, instead of an hour or sometimes more. It doesn’t cost anything either. No brainer! We had breakfast one morning at Hollywood and Vine, where we met Jake (from Jake and the Neverland Pirates), June from Little Einsteins, Special Agent Oso, and Handy Manny. The characters all come around and sign autographs, pose for pictures, and interact with the kids. My kids LOVED getting autographs from everyone, so be sure to pick up a book for for signatures and have it handy – they’ve been looking through the book constantly even after we’ve been home for a couple days! Every so often the characters perform in the middle of the restaurant, which was very cute. 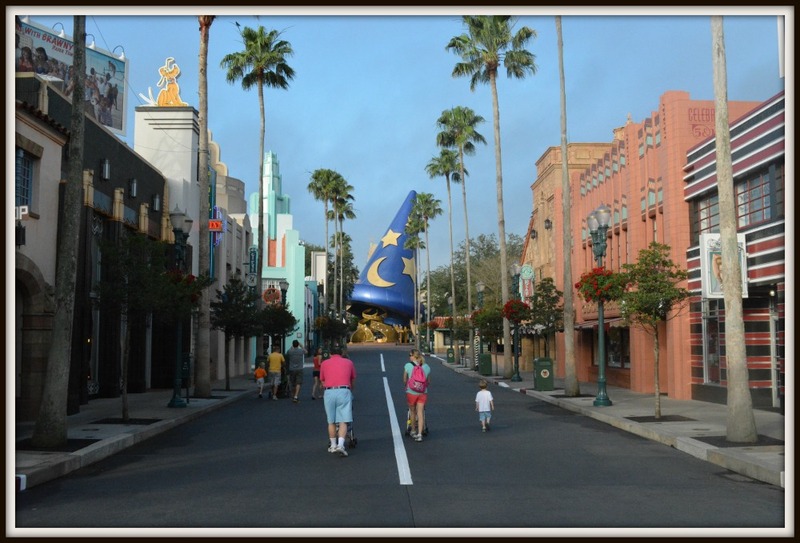 Our reservations were bright and early, which was nice – we got to walk around before the crowds got there. It’s hard to get up, but if you can, do it – it’s great to try and fit in as much as you can before it gets packed. 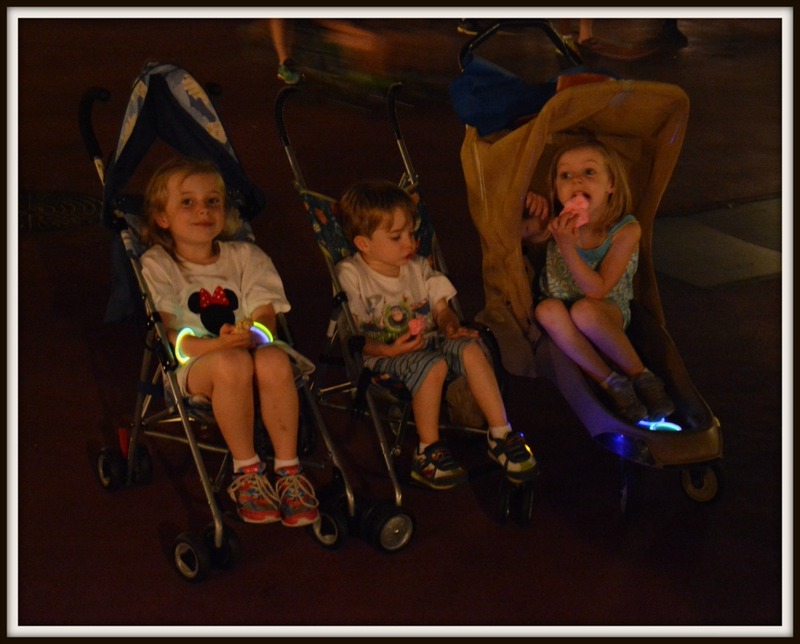 One day we ALL grabbed a great nap, so we decided to make that our late night at the Magic Kingdom. 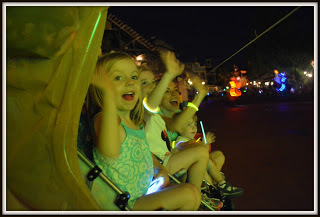 We stayed for the Electrical Parade, which is every night at 9pm, then the fireworks “Wishes” show at 10. This was my favorite part of the whole trip. Get a good spot (we parked our strollers near Country Bears Jamboree (Nicole’s suggestion), and had the best night! The park gets dark except for the lights from the parade, and it is amazing. The look on my kids’ faces was priceless. Some of my smart readers suggested grabbing light sticks from the Dollar Store, and that was a huge help! I grabbed a tube of glow in the dark bracelets from the dollar bin at Target, and whipped them out when the carts rolled by filled with fancy (aka expensive!) 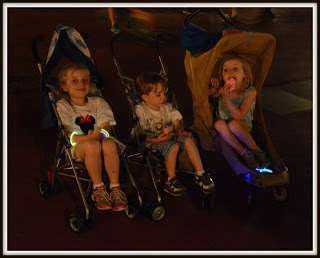 light sticks, and my kids were just as happy! Thanks for that awesome tip! 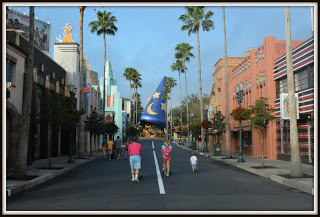 And since our son is a HUGE cars fan, Nicole suggested the Sci-Fi restaurant in Hollywood Studios for dinner one night. It was like a big drive in movie theater/restaurant! We ate in cars with little tabletops for our food – so cool! And my parents loved how it reminded them of their younger days. 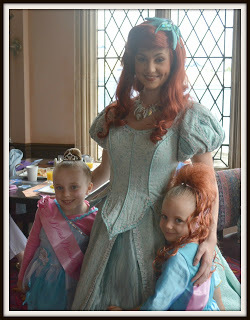 My girls adore the princesses, so Nicole booked us for brunch at Cinderella’s Royal Table. That was another highlight of the trip. Next to the Electrical Parade, this was my favorite. 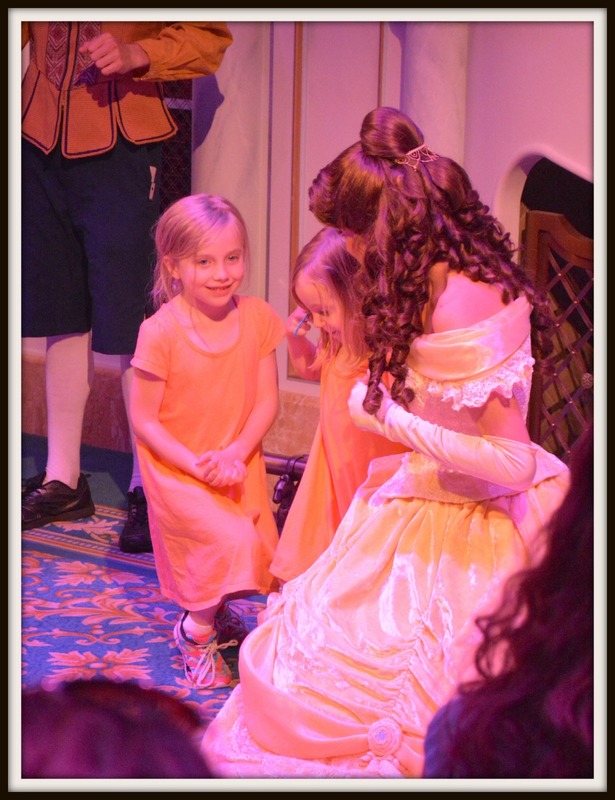 First we got to meet Cinderella in her castle, then walk up a fancy spiral staircase to a beautiful room with a spectacular view of the Magic Kingdom. The princesses walk around, signing autographs and posing for pictures with all the tables. My girls were FLOORED! Our server came by with a sword for our son, so he was digging it too. 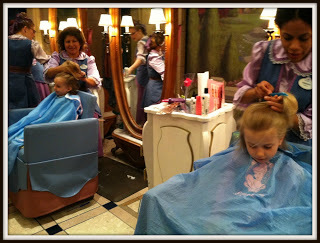 Rapunzel wasn’t there, and she is THE Numero Uno princess in this house (along with Merida). We knew we couldn’t leave without meeting her. 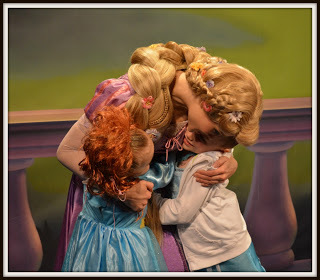 The princesses in the Town Square switch all day long, but we learned that you can go into the Emporium on Main Street and ask the people behind the register to call down to Town Square to check and see which princesses are there at that time. We got lucky and Rapunzel happened to be inside when we checked, and she was literally the last princess we saw! It was our last night – and so memorable. – Carry backpacks! 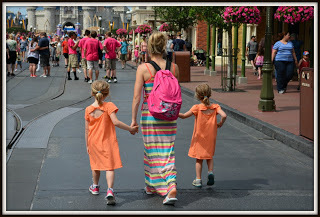 My husband and I both carried them around everywhere we went and held cameras, light jackets (just in case), sunscreen, snacks, water bottles, autograph books, etc. Never once carried my purse! Nice to have both hands free too. – Strollers! (If you have younger kids). We brought two umbrella strollers rather than a double, because there were four adults and that way we could divide and conquer and not one person was pushing around two kids. However, after a day or so, we ended up renting one more single stroller per day for the third child. It was easier to have them contained, and they didn’t get as tuckered out. Even my 6 1/2 year old needed to be strolled around eventually! It is a LOT of walking. – Before our trip, I grabbed a bunch of snacks to throw in our carry-ons. They were great throughout our trip. Things like cereal bars, pre-bagged goldfish crackers, fruit snacks don’t take up much room, and were perfect when the little ones needed to refuel. And thanks to whoever suggested Starburst! I brought a bag of those with us, and they were great for the plane ride when our ears were popping, and great when we were in line and the kids started fading. “Who wants a starburst? !” “ME! YAY!” Not my proudest mothering moments, but hey, ya do what ya gotta do to get through a hot, long line with tired kids, am I right?? – Hit the dollar store for ponchos. It drizzled a few times while we were there, but on our last night, it rained a LOT. We got lucky, and it was at the very end of our day, just when we were about to head into Tony’s Place for dinner. 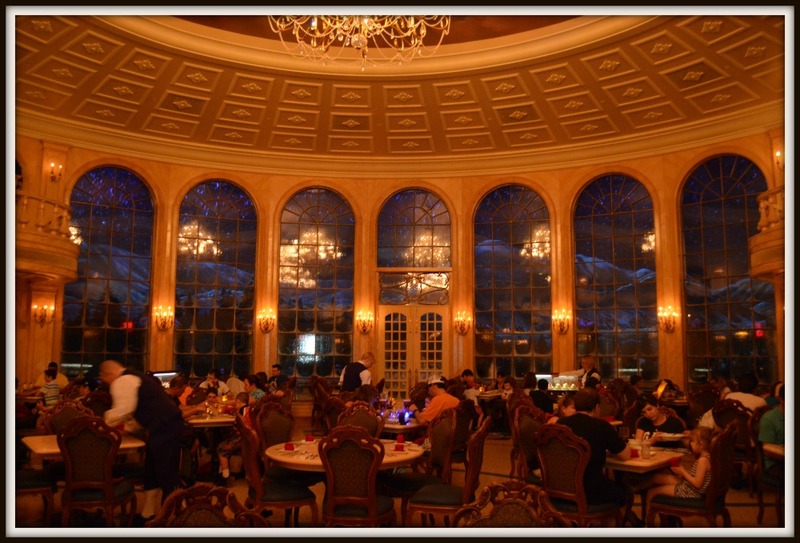 The restaurant happens to be at the entrance/exit of the park (good idea, Nicole! ), so we hit the bus from there and it didn’t affect us much. However, those ponchos were great to have. They don’t take up much room, and you get 2 for a buck! – Disney gift cards. My daughter just got one for her birthday from a friend of hers, so we saved it for the trip! She picked out a Merida doll and paid for it with her card. Helps if you’re really trying to stick to a budget – purchase gift cards ahead of time and let them pick out things with their own card. I don’t think I could complain about one thing about our trip to Disney World. It is the happiest place on earth, and thanks to our planner extraordinaire, Nicole, every detail was taken care of and perfect. It feels good to be home, but can’t wait to go back! 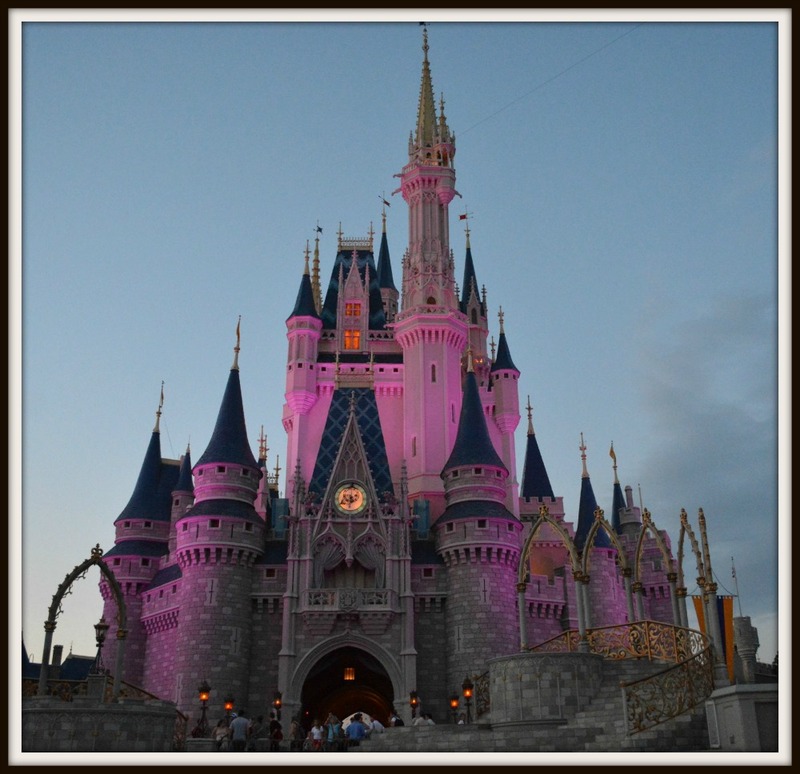 It’s truly a place for all ages too – my parents loved it, we loved it, the kids loved it – and we saw so many teens there too, having a blast – you’re never too young or old for a trip to Disney, as this trip confirmed! Hi Mindy! It’s FREE!! She gets paid through Disney, so it’s no cost to you. Awesome, right?! Have fun!! !